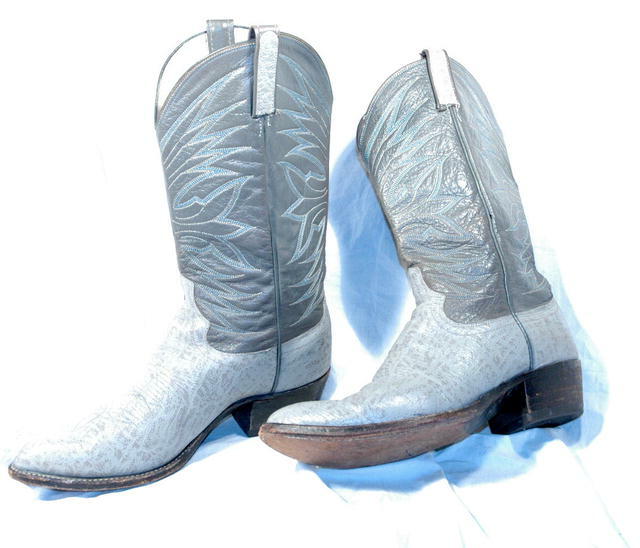 Gray/Blue Dan Post Antalope hide Cowboy Boots 10 D ** PRICE REDUCED**!! 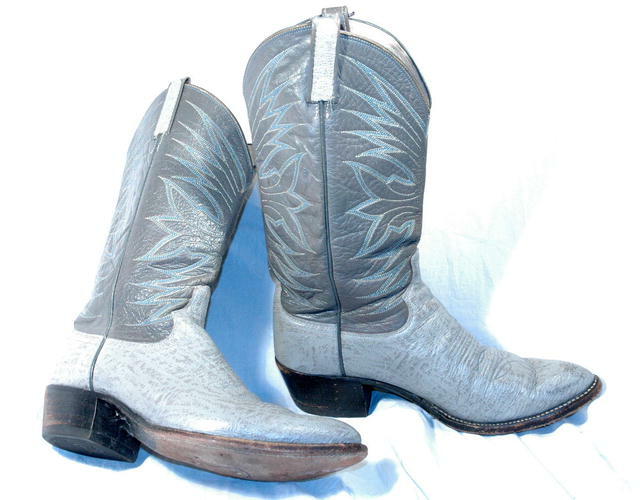 Excellent Pair of Gray antelope Hide Dan Post Boots. 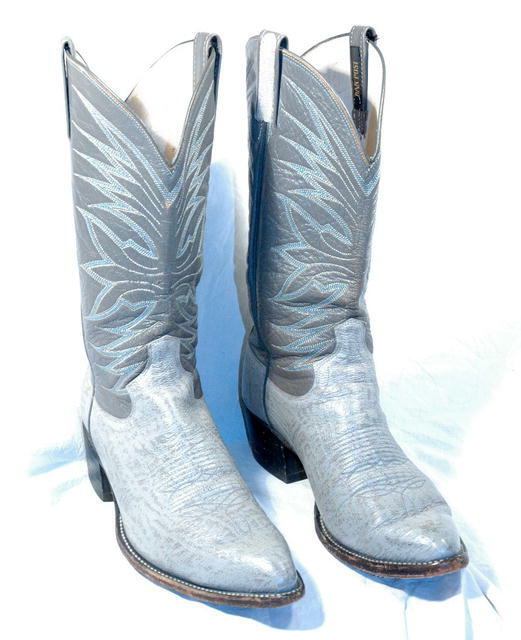 This size is a men's 10 D.
They feature 6 row stitching with a 3 rows of robins egg blue bordered by white stitches. Plus they have pegged soles and stack leather heals. The measurement from the back of the boot to the tip of the toe is 11 &frac14;” and at the widest point of the sole is 4”.